Factory-direct sales. Maximum cost reductions of more than 30%. Three Arrows carries out product planning and design in Japan and product manufacturing at reliable sewing factories located overseas.Furthermore, we are the only company that has achieved complete integration of general apparel business activities, from distribution and product inspections/checks overseas to product importation and distribution/delivery within Japan. We refer to this new product procurement method as Direct Clothing Operations (Factory-Direct Sales) and it is our greatest strength—one that no other apparel maker or textiles trading company has—enabling us to propose better quality products for greatly reduced merchandise costs. By eliminating unessential product costs and delivery costs, we are achieving reductions in our cost base of a maximum of more than 30%. 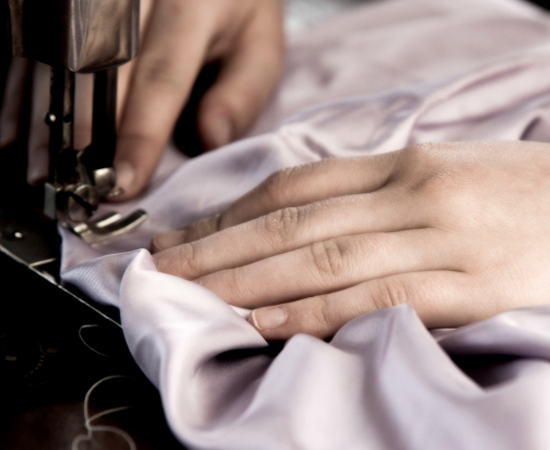 The blouson jacket factory in Myanmar is expert in manufacturing products incorporating down. 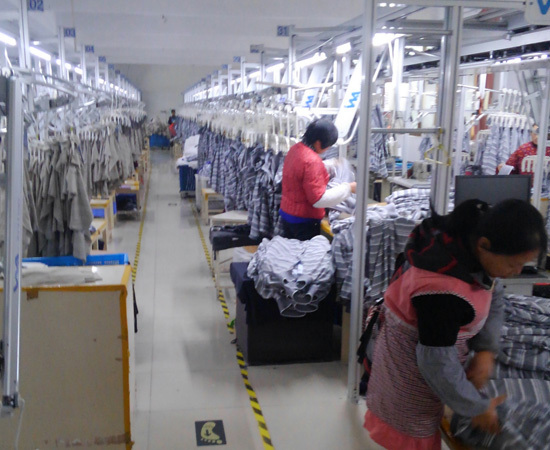 Production lines have been constructed for blouson jackets and other products incorporating down. Workers are expert sewers. The factory currently manufactures products for sale in Germany, Italy, and South Korea. The facility also includes a fabric factory, and so it is possible to select fabrics and decide on production on-the-spot in the factory’s conference room, and the factory can then commence manufacturing immediately, enabling a quick response to orders. Inspections of Three Arrow products are all carried out overseas with the aim of reducing the number of defects to zero. Both the Myanmar and China Factories have on-site inspection divisions and conduct product quality inspections and checks. 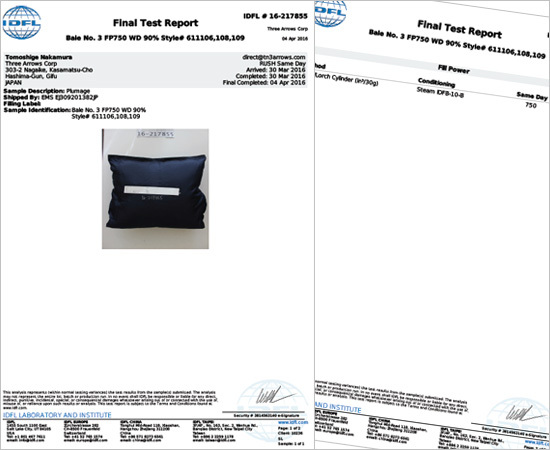 However, Three Arrows takes a double-check approach, contracting a specialist testing company as a third party to inspect and check all products.